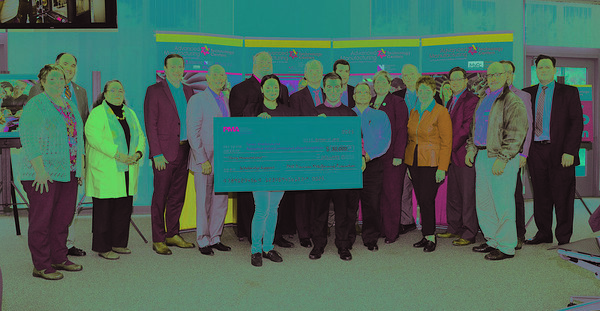 FARMINGTON - Connecticut’s community colleges, their foundations and the Precision Metalforming Association (PMA) recently announced the establishment of the Precision Metalforming Association Scholarship for Tunxis, Middlesex, and Naugatuck Valley community college students studying precision manufacturing/machining. 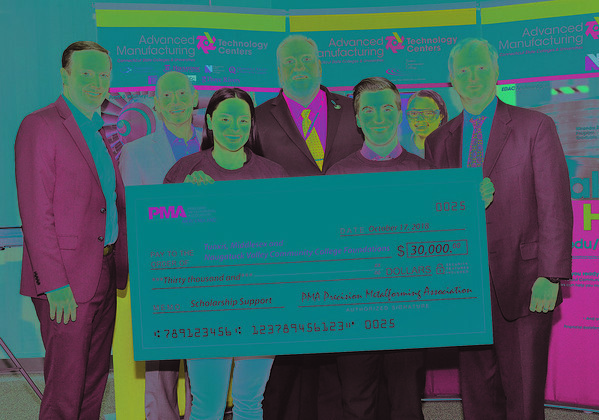 PMA has seeded the PMA Scholarship with an initial $30,000 donation - with $10,000 each allocated to Tunxis, Middlesex and Naugatuck Valley - for the annual scholarship fund. The donation will support precision manufacturing/machining students with financial need who are in good academic standing. Children or spouses of an individual employed by a PMA member company are also eligible for the scholarship. The annual $1,500 PMA scholarship will be distributed beginning next fall and may be renewed annually. “Advanced manufacturing employers are telling us they need skilled workers - 25,000 skilled workers over the next decade - and the Advanced Manufacturing Technology Centers at the state’s community colleges are up to the challenge. The Precision Metalforming Association Scholarship will help advance our goal as Connecticut’s manufacturing pipeline,” said Mark Ojakian, president of Connecticut State Colleges & Universities. The official announcement of the scholarship was made at Tunxis, with U.S. Sen. Chris Murphy; Ojakian; James Lombella, president of Tunxis and Asnuntuck community colleges; James Howey, president of OKAY Industries, and several other dignitaries present. “Connecticut manufacturers are second to none. We have a resurging manufacturing industry, and our defense and aerospace sectors depend on a highly trained skilled workforce. The PMA Scholarship for students at the Connecticut State Colleges and Universities Advanced Manufacturing Technology Centers will go a long way in helping to train the next generation of manufacturers in our state,” said Murphy. “We are excited about this new Precision Metalforming Association Scholarship which will help us meet critical workforce needs for skilled graduates in advanced manufacturing,” said Lombella. PMA is the full-service trade association representing the $137 billion metalforming industry of North America, the industry that creates precision metal products using stamping, fabricating, spinning, slide forming, and roll forming technologies, and other value-added processes. PMA’s more than 800 member companies also include suppliers of equipment, materials, and services to the industry. Asnuntuck, Housatonic, Naugatuck Valley, Quinebaug Valley, Manchester, Middlesex, Three Rivers, and Tunxis community colleges all offer Advanced Manufacturing Technology programs. The Advanced Manufacturing Technology Center (AMTC) certificate program is offered on a part-time or full-time basis. Many of the programs have internships or apprenticeships available, as well as financial aid. Credits earned in a certificate can be applied to their respective community college associate degrees, and provide pathways to Central Connecticut State University’s School of Technology. Posted in New Britain Herald, Business, on Monday, 26 November 2018 20:31. Updated: Monday, 26 November 2018 20:33.